I am so excited today to have one of my very closest blogging friends, Dayna from Lemon Lime Adventures, guest posting today. 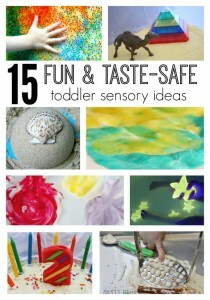 She has compiled an incredible list of Independent Toddler Play ideas! These are so perfect for veteran moms who need help with their tots as they have a newborn at home and even just for the mom of one who needs some extra “me time”. Keep reading for more and to connect with Dayna and her wonderful community! Thank you, Kara, for having me over today to share with your readers! Congratulations on the beautiful addition to your family and your amazing birth story. I couldn’t help but write about ideas to keep your toddler busy when you have a newborn at home since, well, that is exactly what is happening with you, my friend. I am honored to be here and hope you and your readers will find these tips useful! If you have a toddler, then you most definitely remember what it is like to have a newborn. While life with a newborn is absolutely wonderful, it can also be one of the most exhausting times in a mom’s life. Between the midnight (no, all night) feedings and the constant diaper changes, it seems you never sleep, eat or sit down. Now, add in a toddler to your side and you have a cocktail for mommy burnout. 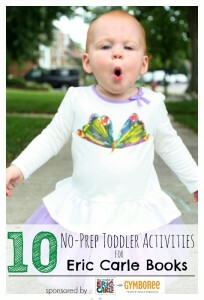 That’s why I’ve gathered some simple toddler play ideas together, so you can have something handy for your toddler while you take care of the newborn. Have some simple busy bags made in advance so your toddler can sit beside you while you feed the newborn and play independently. Filling your home with a variety of good books and a cozy spot for your toddler to sit and read, will give you a few minutes to catch your breath and maybe even go to the bathroom. Got any extra kitchen sponges laying around? 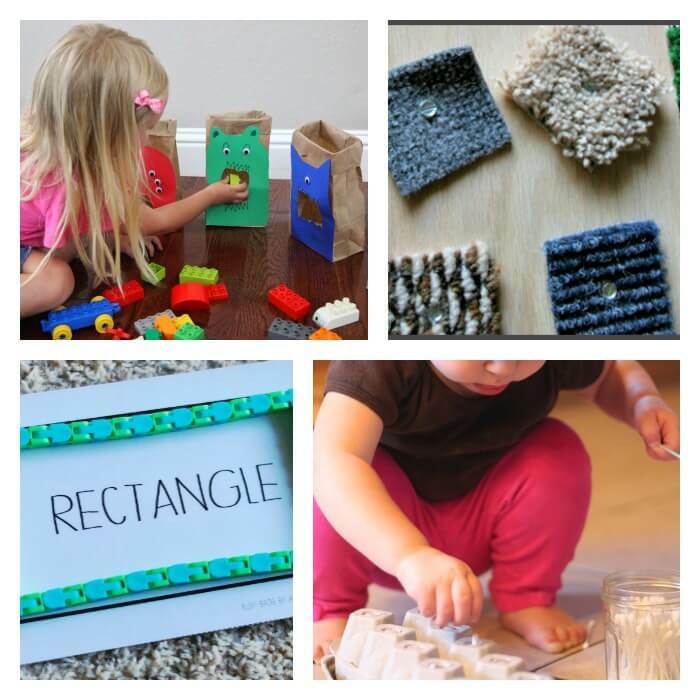 Why not cut them up and create a simple and fun building game for your toddler to play while you cook dinner? After the baby goes to bed, gather up some of your kitchen supplies and throw together an inspector box that your toddler can explore in the morning during breakfast the next day. Each night, put together one more simple busy box for the next day. Eventually, you will have a collection of busy boxes to keep your toddler busy. Need a little pick me up, try some of those prenatal exercises you did when you were pregnant! Not only are they great for trying to get little one to sleep, they will help you bond with your toddler, as well. If you have a hand fidget laying around, you can have your toddler practice their shapes, letters and numbers. What’s great about this, is your toddler will have to use two hands to change the shape, meaning they won’t be holding on to your legs, and you can walk into the next room (even if only for a second). If you are feeling really gung-ho, you can try making a textured sensory board that both the baby and the preschoolers would love. Have a few diaper boxes laying around? Why not turn them in to this adorable little game using Lego duplo blocks. 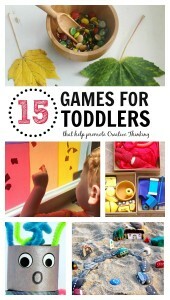 If you are feeling up to a little more involved activities with your toddler, you might also love these toddler play ideas. 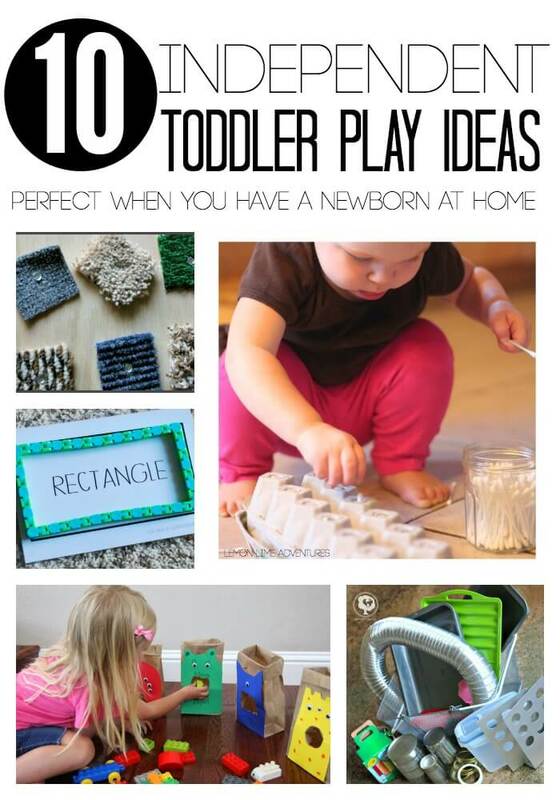 Do you have a favorite toddler play idea? What would you add? Thank you, Kara, once again for having me today! Connect with Dayna and Lemon Lime Adventures! Dayna is a National Board Certified teacher with over 12 years of experience in the primary classroom. She recently began homeschooling her 3 children against her will. 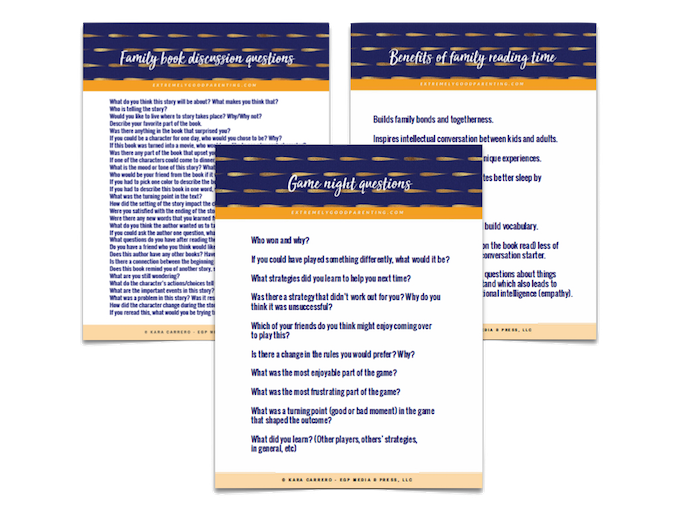 She writes at Lemon Lime Adventures, where she writes about the trials, successes and errors of their life, life living as a blended family, and dealing with a son with Sensory Processing Disorder. You can find Dayna rockin’ it over onFacebook, Twitter, Instagram, and G+!